Every day in America, approximately 46 children and adolescents are diagnosed with cancer. More than 160,000 children worldwide, die of cancer each year. There’s no question, childhood cancer is ugly. Four years ago, a young dancer, Melinda Marchiano was diagnosed with Hodgkin lymphoma. She’s transformed her confrontation with cancer into something beautiful, documenting her path through diagnosis, treatment, and recovery in a memoir, Grace: A Child’s Intimate Journey Through Cancer and Recovery, which she published in October, 2010. Melinda’s book has received several honors, including an Ippy Award silver medal and the Benjamin Franklin Bill Fisher Award for Best First Book (Nonfiction), both accepted at award ceremonies in New York City in May. And well deserved, for she shares her story with honesty, humility, and humor in this eloquent, 304-page, first novel. Melinda danced through her treatment, and now a senior in high school, she still dances six days a week. She is committed to fighting cancer and is a 2011 Livestrong Leader and a United Way Youth Grant recipient for her proposed project “Literacy & Advocacy Youth Challenge” which encourages students to become better readers, writers, and advocates for issues they care about. An inspirational speaker, Melinda completed a near-month-long trip which Melinda dubbed the Children’s Hospital Hope Tour this past summer, driving over 7,000 miles to 28 states and 15 children’s hospitals. It was following this tour that I caught up with Melinda to talk with her about cancer, her book, and her future plans. Dance Advantage: So Melinda, you’re 17! What are your education plans? 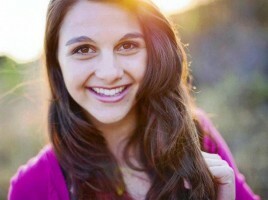 Melinda Marchiano: I will graduate in 2012, and I plan on attending a 4-year university to study medicine and possibly minor in dance. DA: Aside from dance, your charity work, and writing (as if that weren’t enough), what other activities at school or otherwise do you participate in? MM: I organize an annual event for Livestrong Day on October 2, as well as bring awareness about Livestrong and their services to my community. Also, I speak at schools, churches, and for community groups. Three years ago, on December 18, 2007, Dr. Dan called to tell me that my second biopsy revealed your identity– Hodgkin lymphoma. You were so clever in your hiding, so adept in disguising your destruction, that you nearly got away with suffocating me before we even found where you were lurking. I remember a feeling of power over you just learning your name. You became my instant enemy. Your memoir describes in detail your first encounters with this adversary, Cancer. Give readers the Cliffs Notes version. MM: The Fall of 2007 is really when I first knew that something more serious was wrong. We began going to the doctor and four months later we finally received the diagsosis. DA: Once you had the diagnosis, it was clearly a relief. You knew the enemy had a name. What was the plan of attack? MM: It had to be treated quickly and forcefully. I had four rounds of chemotherapy and three weeks of daily radiation over the course of six months. DA: You’ve said that dance “saved your life” throughout this process. How so? MM: Well, originally, it helped us to get a diagnosis. Every time I danced, I had a high pitched cough I called “The Dolphin Cough.” It led us to find the mass in my chest. Dance also “saved” me emotionally by being my outlet during treatment – my goal and passion. DA: You danced through it all but there must have been times where physically it was difficult to get through classes and performances. In what ways was your dancing affected by cancer? MM: There were times when I couldn’t even open my eyes or wave, so obviously I was then left to dance in my bed. The two biggest obstacles were fatigue and pain. 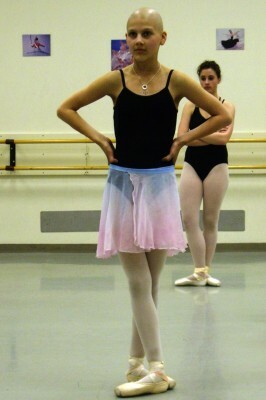 I would be exhausted after a single tendu. Also, I received daily shots that made me have deep bone pains and made it hurt to do any movement. DA: How did your dance studio family support you during tough times? MM: There was a lot of shock. Different people handled my illness differently, but they were all there for me. One of my teachers gave me a solo in a recital piece. It was a complete surprise to me and performing the day after my treatment ended was a moment I’ll never forget. DA: When did you begin writing about your experiences? MM: I began writing during my recovery. I was still very, very ill and began to write about my experience because it was a natural thing for me to do. I’ve always loved to write. I thought back and told my story, writing freehand in spiral notebooks. I had filled about six spiral notebooks when I decided that I possibly had a book. I hoped that by sharing it, it could help other people; I wanted to take the bad and make good out of it. DA: I encountered you on Twitter for the first time amid some discussion about New York City Ballet turning down your Make a Wish request to appear on stage with the company. While others (passionate and surely well-meaning adults) were bashing NYCB, your response was gracious and mature. Can you tell us anything about your request and what’s happened since? MM: My original wish was to dance with the NYC Ballet and unfortunately that wasn’t able to work out, but everything happens for a reason, yeah? The focus for my wish now is to have it in some way help other kids with cancer. No official wish is in the works yet, but I will keep you posted! DA: You help run the publishing company, Happy Quail, with your mom, you dance, you’re an active presence online, you travel to speak and for your award-winning book… the list goes on. Do you have any tips or advice for busy teen readers on managing or prioritizing time and activities? MM: Make lists! I know it sounds simple, but making to-do lists with the most important things at the top helps to take my mind off remembering to do things and helps me to be more efficient and enjoy my busy days more. DA: What does dance continue to do for you now that you’ve won this battle with cancer? MM: Dance means so much to me! In my classes every day I learn about working hard, achieving goals, patience, believing in myself, and about pushing beyond what I think I can do. Also, it is still very therapeutic. I know I can always rely on it at the end of the day, no matter how good or bad it was. DA: You’re a lover of words and quotes, obviously. Me too. 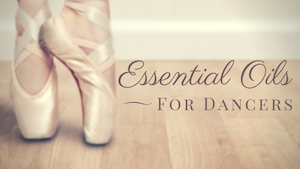 One of my favorites is “In life as in dance, grace glides on blistered feet.” Grace is a powerful concept and the title of your book. What does this word or idea mean to you? MM: Grace to me defines the beauty that shines through tragic moments.